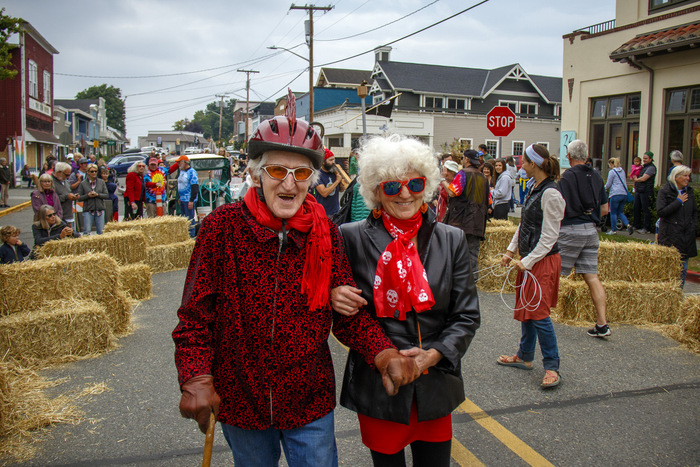 Imagine a Langley realtor on a golden toilet seat in a rolling outhouse racing a nearly 97-years-young poet in a red-hot chili pepper on wheels. 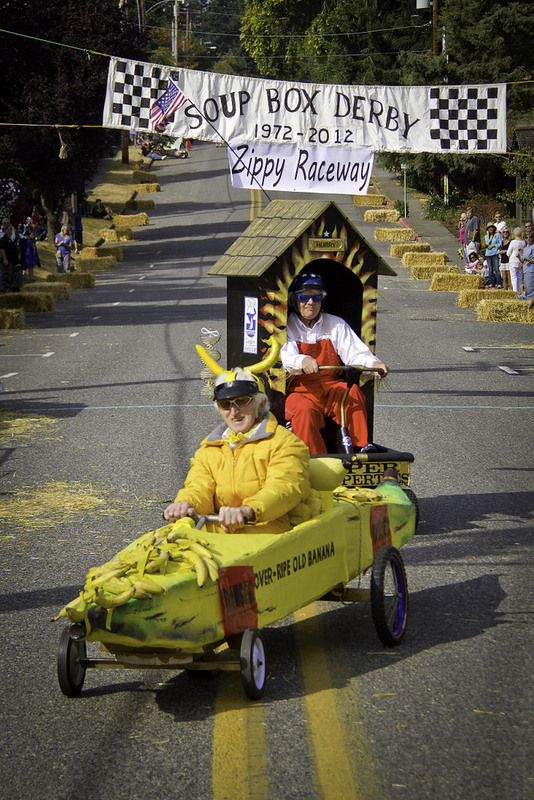 Realtor Gary Piper and poet Peter Lawlor hold a grudge match each year in Langley’s Soup Box Derby that finds the two friends rolling neck and neck to the finish line. Let me win in my hot chili chair. But I’ll race it up in heaven. The consummate Soup Box racer. 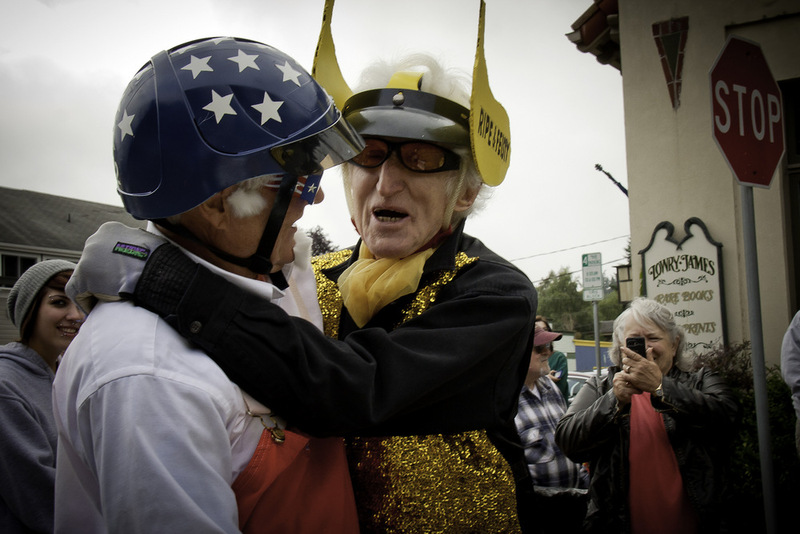 The idea of the Soap Box Derby began as a photoshoot by newsman Myron Scott in Ohio who was assigned tp cover a group of boys racing their homemade cars in the summer of 1933. 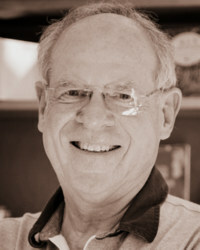 Scott was so impressed with the event that he acquired a copyright to Soap Box Derby and went in search of a corporate sponsor to establish a national program. Once sponsored by Chevrolet and now by the Akron Jaycees, the events for kids take place internationally. 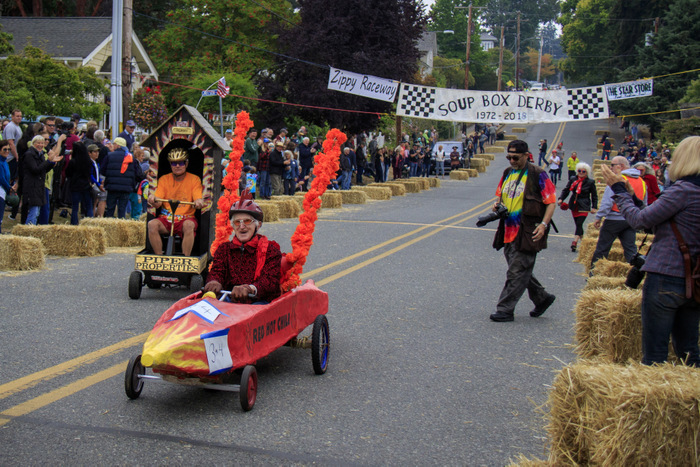 Since the 1970s Langley celebrates the end of summer, renaming the sport as Soup Box Derby, a race for all ages with no end to one’s imagination, judging by the quirky vehicles and costumes where everyone wins a trophy. The vehicles have steering and brakes, but run solely on gravity down Langley’s First Street. 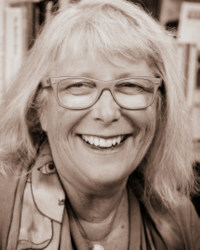 Lawlor’s daughter Gretchen is a popular South Island astrologer and artist who helps her dad create his paper mache vehicles. 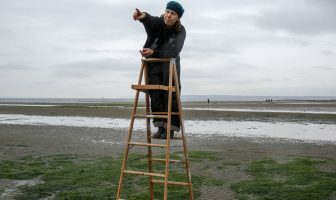 Lawlor is a merchant mariner from New Zealand who worked as a ski instructor and newspaper columnist in the U.S.
Peter moved to Langley by the Sea in 2000 to join his daughter and soon became known as Whidbey Island’s poet laureate. Father and daughter each have a halo of thick white hair which distinguishes them wherever they go. Locals may well remember Peter for his poetry and harmonica/accordion gigs at Whidbey Commons and Mukilteo Coffee. Peter will visit his girlfriend Roberta in Honolulu this month before celebrating his 97th birthday Nov. 26. As for Peter’s first soup box, the coffin? Gretchen says it is in the laundry room awaiting the last trip. Brilliant! You have really captured the spirit of the Lawlor tribe here, – and nice to have a little history of the Soap Box phenomenon. Thanks, Cynthia. I’m learning as we go.